• This alert gives notice to businesses and residents of the Calumet (5th) & Morgan Park (22nd) Districts, of three recent Armed Robberies of Dollar Stores. CPD COMMUNITY ALERT – Robberies (P17-1-135) 12th Dist. This alert gives notice in the 012th District (Near West) of robbery incidents which have occurred during the month of December. CPD COMMUNITY ALERT – Child Luring (JA533953) 16th Dist. On December 02, 2016, on the 7100 block of N. Harlem at approximately 4:00 p.m., two female juveniles, age 14 and 15, were walking on the sidewalk when two unknown male offenders in a black four door pickup truck attempted to engage them in conversation and coax them into the truck. CPD COMMUNITY ALERT – Robberies (P17-2-111) 6th Dist. This alert gives notice to citizens of the 006th District (Gresham) on Beat 621 of robbery incidents that have occurred in recent weeks. CPD COMMUNITY ALERT – Robberies (P17-N-075) 14th & 19th Dist. This alert gives notice to the residents of the 14th District (Shakespeare) and 19th District (Town Hall) of the following robbery incidents that have occurred in October. This alert gives notice in the 012th District (Near West) of burglary related incidents which have occurred during the month of October. 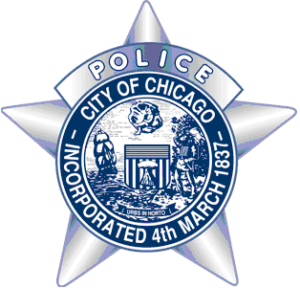 CPD COMMUNITY ALERT – Robberies (P17-N-208) 14th Dist. Multiple robberies have occurred in the 014th District between September 6, 2017 and September 10, 2017. This alert gives notice in the 012th District (Near West) of robbery incidents which have occurred during the month of August. CPD COMMUNITY ALERT – Child Luring (JA408253) 16th Dist. On August 25, 2017, at approximately 6:15 p.m., a 12-year-old female juvenile was walking on the 8600 block of W. Summerdale Avenue when an unknown male offender riding a light blue bicycle asked her if she was Polish and where she lives.